A film about real journalism: about war, and an extraordinary commitment to telling the truth, whatever the cost. @UnderTheWireMov premieres in U.S. theaters this fall. 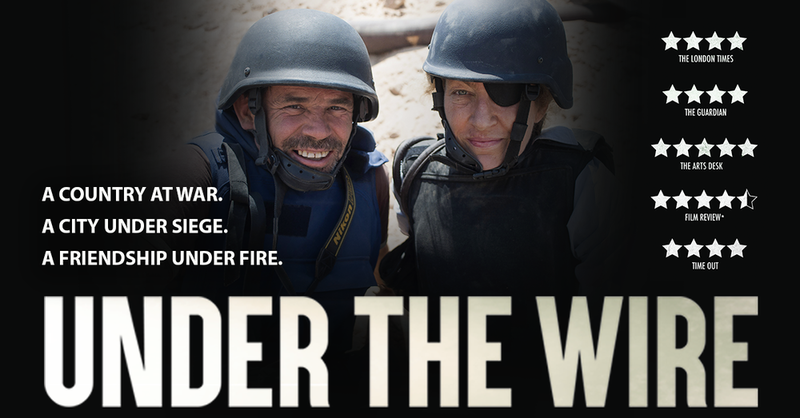 @UnderTheWireMov documents war correspondent Marie Colvin and photographer Paul Conroy's efforts to save civilian lives in Syria. In U.S. theaters starting Nov. 16. See his gripping account of the triumph of the human spirit in the face of overwhelming adversity when @UnderTheWireMov opens in U.S. theaters. @UnderTheWireMov premieres in U.S. theaters Nov. 2018. 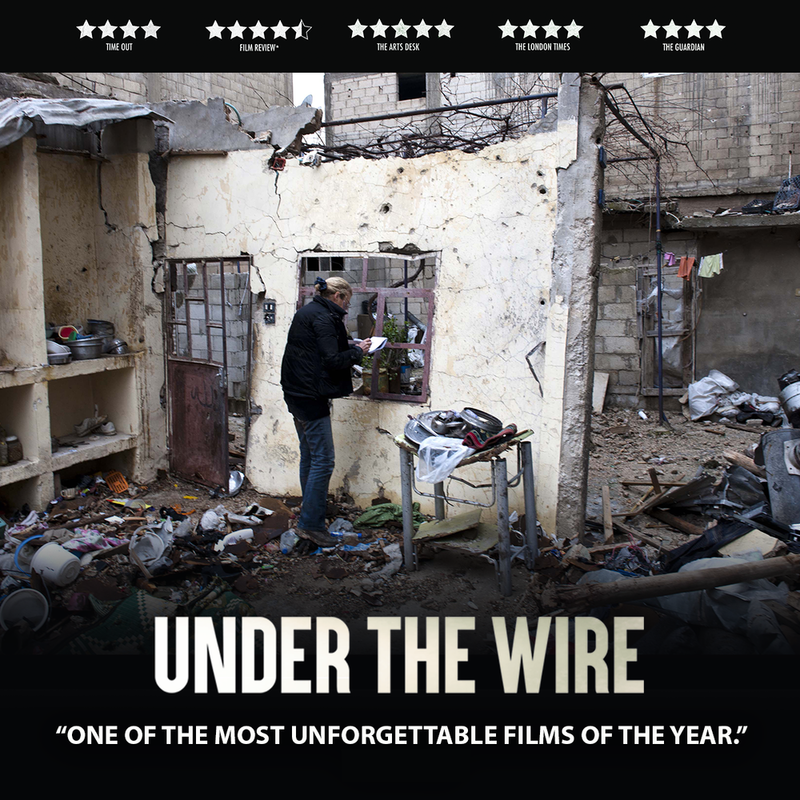 @UnderTheWireMov documents war correspondent Marie Colvin and photographer Paul Conroy's efforts to save civilian lives in Syria. Coming to U.S. theaters this fall. Legendary war correspondent Marie Colvin and photographer Paul Conroy were no strangers to danger, but their last mission together would shock the world. See the story of that fatal, final mission when @UnderTheWireMov opens in select U.S. theaters this fall. Grippingly recounting their moment-by-moment journey into Homs Syria, @UnderTheWireMov is a chilling tribute to the courageous bravery that led two journalists to their final mission together. Premiering in U.S. theaters starting this Nov.
Chris Martin's film unfolds like a thriller showing the horrors that those who risk their lives to uncover the truth endure. See @UnderTheWireMov in U.S. theaters beginning Nov. 16. A film about real journalism: about war, and an extraordinary commitment to telling the truth, whatever the cost. UNDER THE WIRE (tag @UnderTheWireMovie) premieres in U.S. theaters this fall. See his gripping account of the triumph of the human spirit in the face of overwhelming adversity when UNDER THE WIRE (tag @UnderTheWireMovie) opens in U.S. theaters. UNDER THE WIRE (tag @UnderTheWireMovie) premieres in U.S. theaters Nov. 2018. Legendary war correspondent Marie Colvin and photographer Paul Conroy were no strangers to danger, but their last mission together would shock the world. 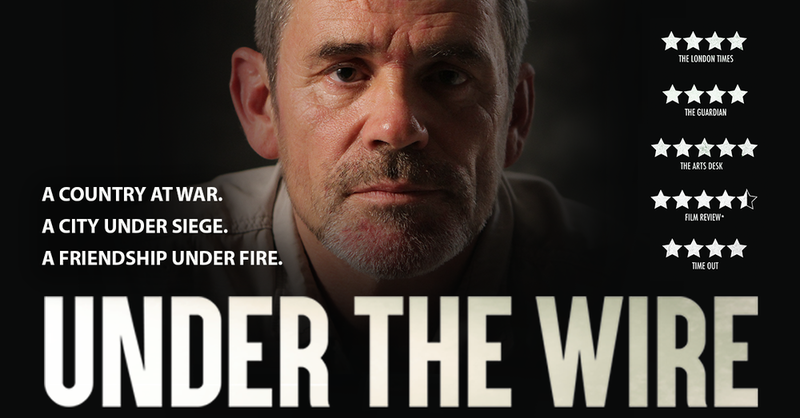 See the story of that fatal, final mission when UNDER THE WIRE (tag @UnderTheWireMovie) opens in select U.S. theaters this fall. 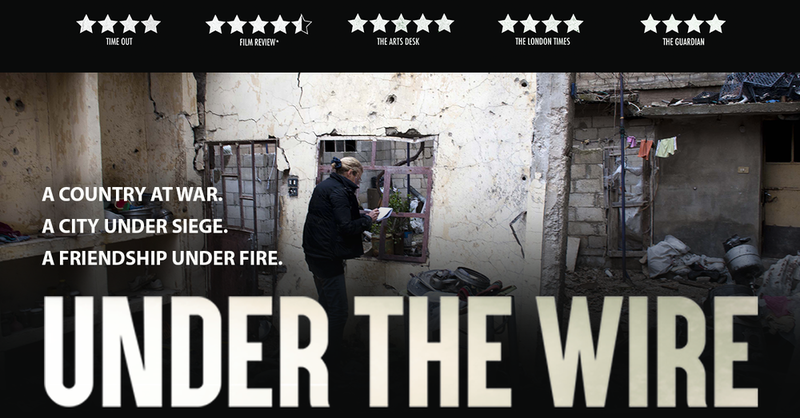 Grippingly recounting their moment-by-moment journey into Homs Syria, UNDER THE WIRE (tag @UnderTheWireMovie) is a chilling tribute to the courageous bravery that led two journalists to their final mission together. Premiering in U.S. theaters starting this Nov. 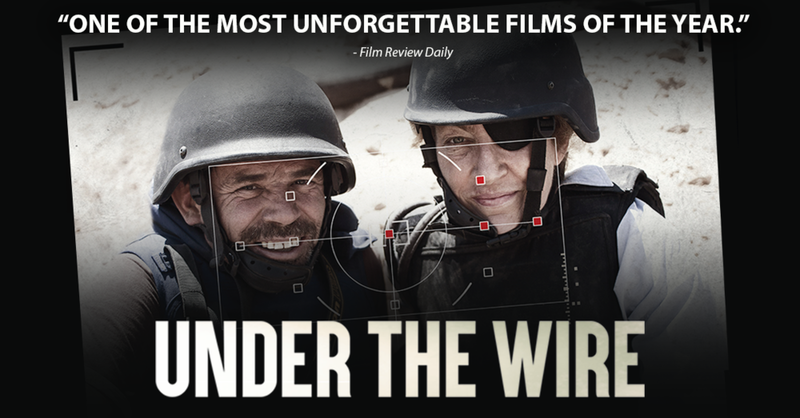 UNDER THE WIRE (tag @UnderTheWireMovie) documents war correspondent Marie Colvin and photographer Paul Conroy's efforts to save civilian lives in Syria. Coming to U.S. theaters this fall.